June 9, 2016 (Source) — ALIX RESOURCES CORP. (“Alix” or the “Company”) (TSX-V: AIX) (37N.F–FRANKFURT) announces a crew will be mobilized in the coming days on select areas of the newly acquired portfolio of lithium properties in the Preissac-Lacorne plutonic complex of the Abitibi Greenstone Belt, province of Quebec. The goal of the program is to help prioritize prospective areas by sampling and mapping the spodumene-bearing pegmatites that are reported on the four properties. This first sampling program, in conjunction with compilation of existing data, will optimize future exploration programs. 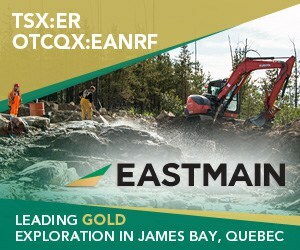 The core of the claim group is located 40 km northeast of the mining town of Val d’Or. The recorded mineral claims extend 30 km east-west by 15 km north-south. The properties are accessible by a network of paved roads connecting to the main 117 Highway linking Val d’Or to Rouyn-Noranda. The region holds several precious and base metals mines and possesses all the infrastructures and workforce necessary to support a mining operation. The Company further announces the resignation of Casey Lewis from its board of directors. Alix wishes Mr. Lewis well in his future endeavours and will continue to work together as circumstances permit. Alix Resources is a junior mining exploration company focused on seeking and acquiring lithium projects globally. Alix continues to evaluate suitable prospects that fit the mandate of the Company. The Company now has active lithium projects in Mexico, Ontario and Quebec.